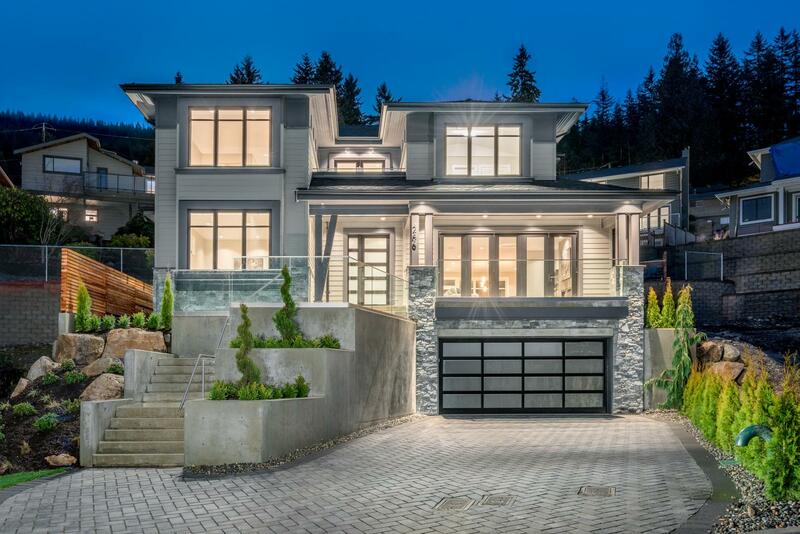 This WONDERFUL CRAFTED home has been built by custom builder Gerald Letkeman of FUSION HOMES - the style and family feeling and floor plan is simply stunning. Great VIEW of the Ocean & City from the master bedroom, the backyard and the front eclipse doors. 4 GREAT bedrooms upstairs, great size office off the main floor, OPEN CONCEPT LIVING WITH GREAT STYLE, amazing space downstairs for the kids and a legal 1 bedroom suite. The quality and finish is AMAZING. Live in a VIEW home on the North Shore. This is one for under $3 million you should look at.